CJ: I have followed Rob’s work for a while and when I saw this image by Rob right away I was smitten, I loved the feelings coming out of the photograph. I have a book Field Studies Stephen Gill and there is a whole series on ‘Trolley Women’. It’s a set of photos that has always stayed within my visual memory. When I saw Rob’s portrait from Holyhead the work came to mind. Many photographers find it hard to approach people and then to ask, to take their photograph, I knew Rob was rising to the challenge, here’s what he had to say. RL: I met Mary as she was talking to a friend near a row of terraced houses in the coastal town of Holyhead, Anglesey. I'm currently documenting the town as part of a project that examines a very overlooked community that continues to be economically challenged. In common with many other seaside communities, Holyhead voted to leave the EU, despite being in receipt of generous grants and being a major gateway to the Republic of Ireland. Maybe by taking an honest look at the town we can start to decode the paradox? So much of my work looks to portray the beauty in the everyday, the banal, even. I also look for anything remotely quirky and Mary’s large, flowery trolley really caught my eye. Before my visit to the town that day I’d already made a firm decision to get out of my comfort zone and include more people in my project. I’m so glad I did and quickly realised that by engaging with people, the rewards were amazing, offering great insight and revealing interesting lives and history. As a photographer, I’ve got back at least ten times what I’ve put in by overcoming my trepidation and meeting people. It’s so enriching. And how could a serious documentary project not include the local people in its scope? I approached Mary and told her a little bit about my project and would it be alright to take her portrait? She happily accepted straight away, but on condition she could tell me a little about herself first. A chat with Mary revealed an interesting life. She’d left nursing in London and felt a religious calling. Among her adventures was a trip she’d decided to make of her own volition to Albania when it was effectively a closed country, to bring children’s books to schools. She did this completely alone, with some initial difficulty in getting there, but once there was warmly welcomed by local families who took her in. We never got around to talking about what had led her to Holyhead, but she told me how active she was with her local church. Her friend told me how active Mary was in charitable work in the area. I’m still inexperienced and slightly awkward when it comes to portraiture. I feel an embarrassed urge to hurry. Looking back, I’d have preferred to separate Mary a little from the background, but you can’t get away from the ubiquitous pebbledash in Holyhead and I guess that’s part of the narrative. I’ve since sent a brief letter and a small print to thank her for her time. And just what was in that large, flowery trolley? Food for the local food bank. 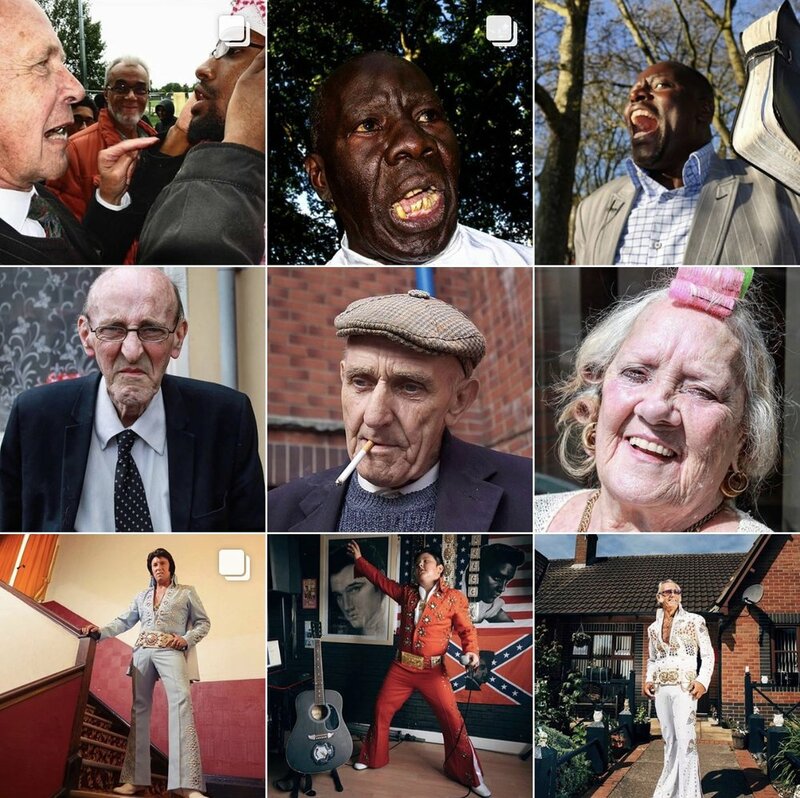 I am spending some time as a guest curator with the guys at ELEPHANT GUN COLLECTIVE I was really pleased to be asked as I have been a fan of the work that they do since I found them on instagram. I have a very real passion for images of everyday people and thats something they love to share as well. So I have been busy scouting some of my favourite work being made across the globe. The portrait below is by Lorcan Finnegan - I think its just simply wonderful. I trained to be a hairdresser in my teens; I really was not good at the cutting side of things but loved colouring hair and spent hours making the foils for hair, used like the lady below. Back then you could smoke in the salon, and I remember sitting with the ladies and chatting away with them untill it was time to wash the foils off. This image just hits the nail on the head, with character, colour and compostion. I will share more about Elephant Gun soon! Street Photography by @lorcanfinnegan copyright Lorcan Finnegan filmmaker / #dublinfaces series a set of characters from the city of Dublin, Ireland. Last year I was invited to select work by graduates that resonated with me, work that PHOTOGRAD had already featured on their page. I found some wonderful work https://www.photograd.co.uk/chloe-juno/ Clear Cut by Christoph Soeder was a body of work I was already familiar with having featured on Documenting Britain Instagram Thank you PHOTOGRAD for asking me. Thank you Luke Saxon and Stefan Byrom for featuring ‘ Someone’s Rubbish’ Brighton and Hove, 2015- 2019 on your brilliant page! This was my first interview in 2018, talking about me and ‘Someone’s Rubbish’ and the work I do. It was really good to reflect and see all the images sit alongside my words. Thank you Charlotte. IN CONVERSATION WITH CHLOE JUNO | DECEMBER 2018 Our next Fable & Folk interview is with Brighton based documentary photographer Chloe Juno. 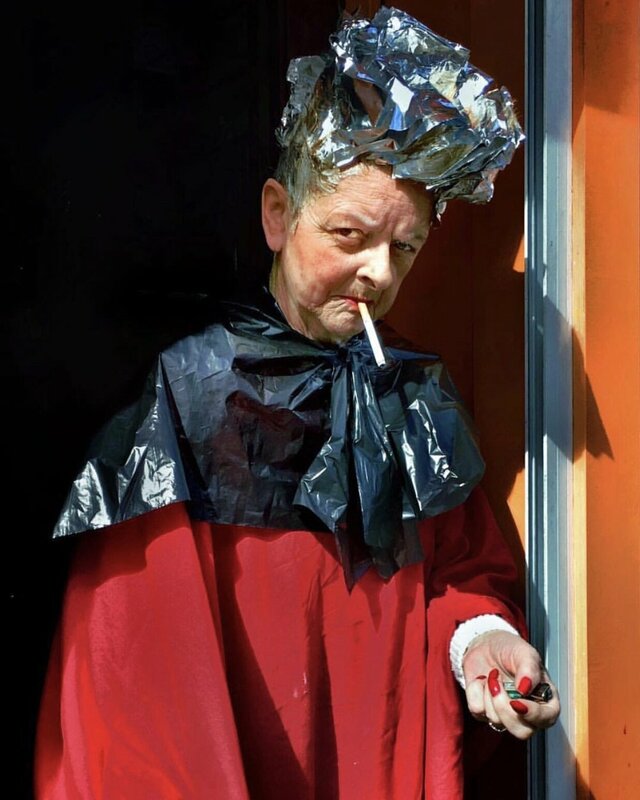 Her most iconic photographic work is “Someone’s Rubbish” – a long-term project documenting life in the UK through the objects people discard, specifically focusing on Brighton and Hove. As the images build, it paints a picture of a city, what people use to live, to work, for health, for food, for love, for money and then, throw away. Chloe is also known for her curation skills for both the “Documenting Britain” Instagram and the “Fishing Quarter Gallery” based in Brighton.